I’m a big fan of political thrillers and crime novels, so when I was given the opportunity to help introduce the world to Jess Money’s new book Public Enemies, you better believe I was happy to be involved. Be sure to check back here on Thursday for a guest post from one of the characters in the novel. Raised in a politically active family, Jess Money majored in Political Science with a minor in Economics. He sold his first magazine article at the age of 16 and has since written everything from ad copy and political mailers to a screenplay for DreamWorks, which earned him membership in the Writers Guild of America. Along the way he had a career in professional motorsports, worked with the U.S. Women’s Olympic Volleyball program, managed two of the entertainment industry’s most acclaimed screenwriting programs, and worked as a bar bouncer when that’s what it took to keep the wolf from the door. 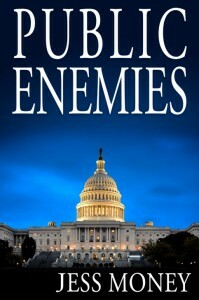 His latest book is the political thriller, Public Enemies. 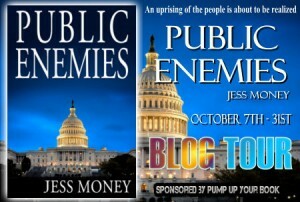 You can visit Jess at www.publicenemiesbook.com.